NOW that Halloween is over, it’s time to talk about bonfire night. 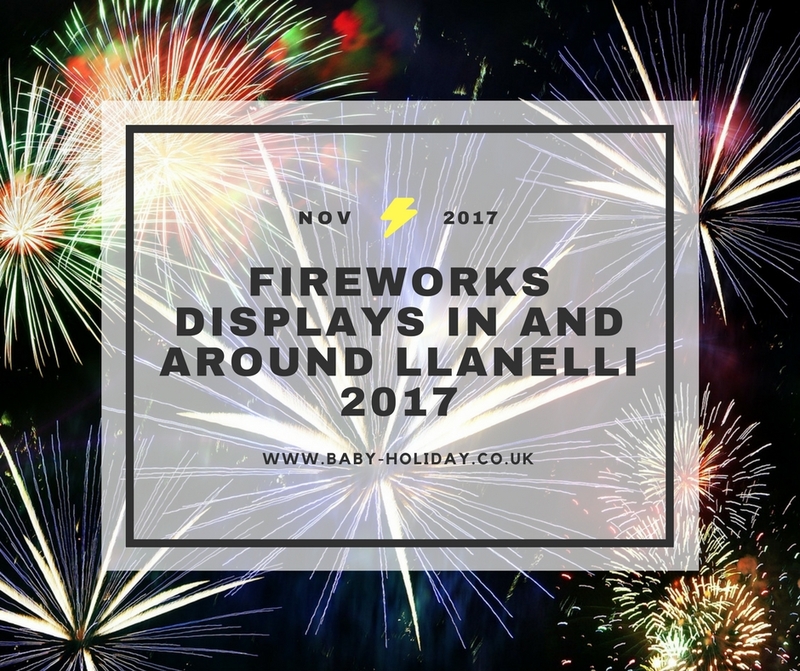 Or more specifically, bonfire night fireworks displays in Llanelli and the surrounding area. November has definitely brought a chill with it, so wrap up warm wherever you go! A fireworks display with food and drink available. Two free displays – one at 6pm and another at 9pm. Music from local singer Shannon Lloyd. Fireworks at 7pm and entertainment in the bar. £5 per person, under threes go free. Cash only for tickets bought on the night. Fireworks party with a meal (soup, sausage, mash and beans) included in the ticket price. Tickets available from the coffee shop at Myrtle House between 10am and 3pm or call 01554 756051. Adults/youth (10 and over) £8, children £5, twos and under go free. Fireworks and entertainment from Radio Carmarthenshire at Parc y Scarlets. The fairground opens at 3pm, hospitality at 4pm, turnstiles at 5pm and the show begins at 6pm. Tickets in advance: Adults £6.50, children £4.50, under fives go free. Tickets on the gate: Adults £8.50, children £6.50, under fives go free. Gates open at 5pm, with a display at 7pm. Family ticket (two adults and three children ) £15 on the night, or £10 in advance from Pontyberem Hall. Fireworks and hot dogs (included in the ticket price). £3 per person. Entertainment includes glow jugglers, circus skills workshops and live performances from 5pm, with fireworks at 7pm. Adults £5.50 (£6.50 on the day), concession £4.50 (£5.50 on the day), family A (2 adults and 2 concessions) £17.50 (£22 on the day), family B (2 adults and 3 concessions) £20.00 (£24 on the day), children aged three and under go free. Live entertainment, a fair, stalls and more. Pay at the gate or online, Family ticket is £15 (2 adults 3 children under 16), adult £5, child £3(under 16), under 3 free. NO SPARKLERS are allowed. Childrens display 6.00pm, Main Display 7.30pm, gates open at 5pm.